ZirChrom®-MS is a "deactivated" zirconia-based reversed-phase column that has mixed mode retention characteristics which allow for LC/MS chromatography of highly basic amines with excellent peak shape and efficiency using conventional LC/MS buffer systems. 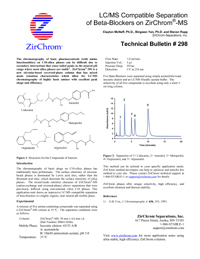 ZirChrom®-MS provides the traditional unique selectivity of zirconia on a low bleed HPLC stationary phase. The high stationary phase loading of ZirChrom®-MS allows users to increase the organic content of their mobile phase, leading to greater LC/MS sensitivity. 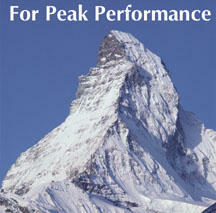 For basic, acidic or mixed pharmaceutical samples, ZirChrom-MS delivers peak performance! ZirChrom®-MS is available in 3, 5, 10 and 25 micron particle sizes. ZirChrom®-MS is available in microbore, standard analytical, and semi-preparative column formats.